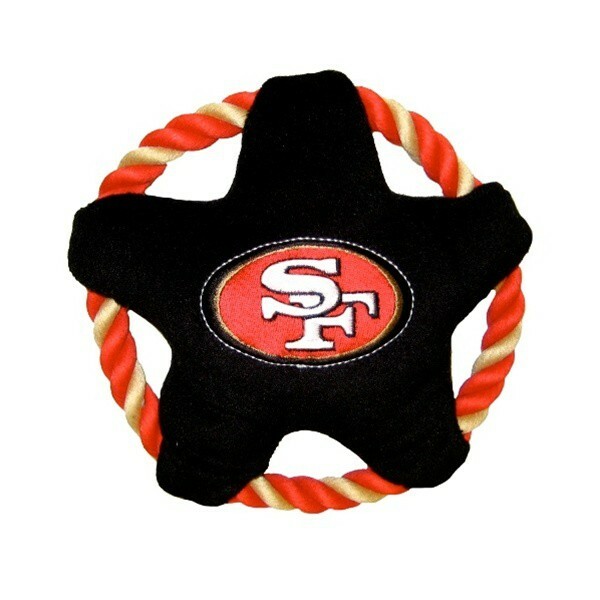 Your dog will be kept busy on game day with this plush San Francisco 49ers rope star disk toss dog toy with. 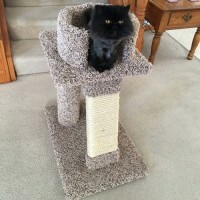 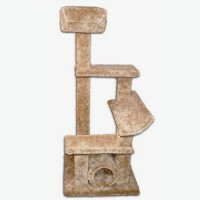 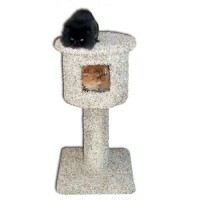 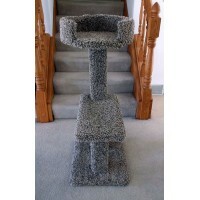 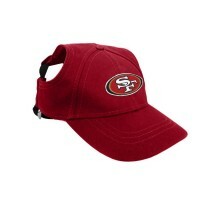 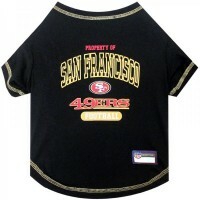 Features a plush center with team colors and an embroidered team logo. 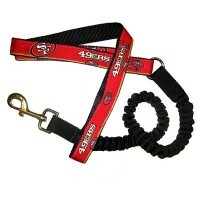 The squeaker and a rope make it great for both games of tug and fetch! 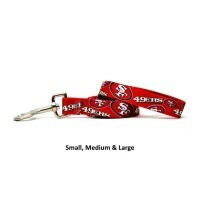 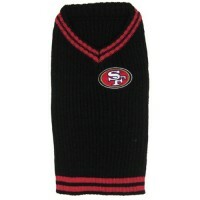 Keep your pet under control and support your team with this stylish San Francisco 49ers Chain & .. 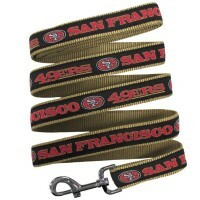 Your pet will be strutting in style with this San Francisco 49ers leather football pet collar from G..